CGSSA Shoots, Meets and Range Stories Set up and organize shoots and meets and share your shooting range stories. No, it's the Lytle Creek Firing Line. In 2009, 2010 and 2011, I organized shooting events there for Calguns members and their families. They reserved 20 lanes for us and we had over 100 people. mrlonewolf was even out there with his BBQ, cooking up some good food. Lytle Creek made some decent money off of us. The only ones that took place were in 2009 & 2010. As the 2011, April date was coming up, we began getting posts from members who had gone shooting there. Seems the le Ranger from the local station had been telling people who had standard capacity mags of any kind they had to leave as those couldn't be shot there. Even tho the thread was edited to show that, it was decided to cancel the event since we had no way of knowing if everyone would have read it. We didn't want anyone to show up and be told to leave. There was a lot of back and forth as to whether it was The Firing Line's order or that it came from the Forest Service LE Ranger. I got the truth from a Board Member that I knew and it did not come from the Firing Line. That was the start of it going downhill as far as I'm concerned. I'd been going there with my son and nephew for 10yrs. I haven't been there since the 2011 event and we have never had another official Calguns event there because of mag issue and runaround I got (I took it up to the head LE Ranger for the Forest Service in Ca. Eventually over time, we had members posting the Ranger was confiscating any standard capacity mags and SBSD were up there also checking for them. I have no idea how things are at the present. As the 2011, April date was coming up, we began getting posts from members who had gone shooting there. Seems the le Ranger from the local station had been telling people who had standard capacity mags of any kind they had to leave as those couldn't be shot there. There was a lot of back and forth as to whether it was The Firing Line's order or that it came from the Forest Service LE Ranger. I got the truth from a Board Member that I knew and it did not come from the Firing Line. Here's a story for you - take it as you will but this shed some light for me on the "situation" at Lytle Creek. 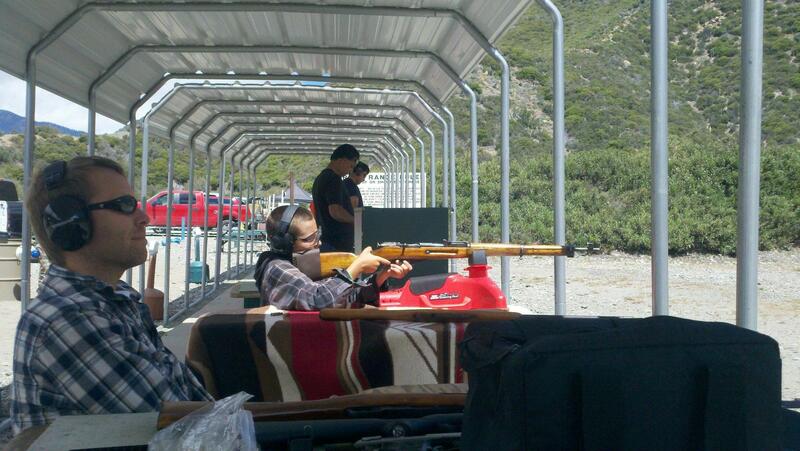 Back in 2011, I was at Lytle Creek on a Saturday with my son and a buddy doing some shooting through my surplus rifles. A couple of other guys pull up to the line in an older somewhat beat-up truck and pull out several AR's and an AK variant. I notice after they start shooting that the three rifles had standard capacity mags. Not 10 minutes later, the local ranger pulls up, right to these guy's truck, essentially blocking them in. The ranger gets out and the range-master quickly waddles over to him and talks to him for about 5 minutes, near the ranger's truck but back behind the firing line. Now keep in mind, this was happening during life fire so the range wasn't being manned by a rangemaster during the time he was talking to the ranger. They (the ranger and the rangemaster) then both make a B-line to the two gents with the ARs/AK and start talking to them about the mags. All three rifles that were out of the truck were registered BBAWs and the owner produced paperwork showing such. The ranger then searched the rest of the truck producing two more rifles (not AWs) but then gave up searching after a couple minutes and then left (without confiscating anything but after speaking with the two gents for another 10 or so minutes). The two gents then packed up and left without firing another shot. My suspicion is that Lytle Creek staff called the ranger out to investigate the BBAWs and standard capacity magazines. Would background checks, fees, taxes, and long waiting periods be considered "infringements" if they were applied to the right to vote or the right to free speech? I haven't been to that range since new years eve just before the new AW ban hit. If I can't cross the river to West End I make a trip to the indoor or I don't shoot. I bet socalnonsage meant to write RAW's.